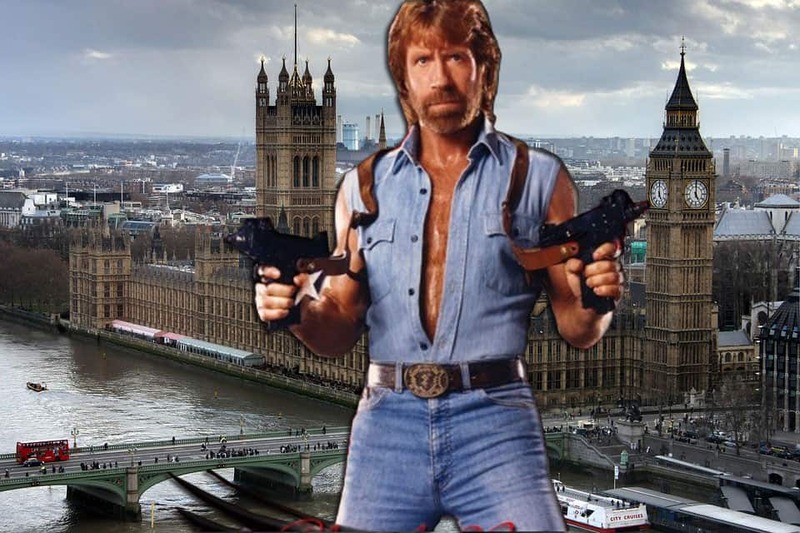 Chuck Norris has confirmed nothing can be done to shift the current Brexit gridlock between Britain and the EU. The martial-artist-come-miracle-worker was called in to help after parliamentarians discovered he is able to cut knife with butter and make scissors beat rock in the popular hand game. It has also been reported that he gave a piece of raw chicken salmonella one evening and was able to unscramble eggs in the Westminster canteen after workers mixed up his order. But he conceded that, even though he can survive Russian Roulette with a fully loaded gun, there is nothing he can do to solve the current Brexit turmoil engulfing parliament. The American movie star said: “I have achieved many great things in my life. “I once strangled a man with a cordless phone. I discovered Victoria’s secret and I learned how to speak braille. “Lord Voldemort even refers to me as You Know Who. “But I can’t see a way out of this mess”. Norris will stand down as Theresa May’s chief miracle worker immediately. It is believed he will continue serving as the President’s red button.